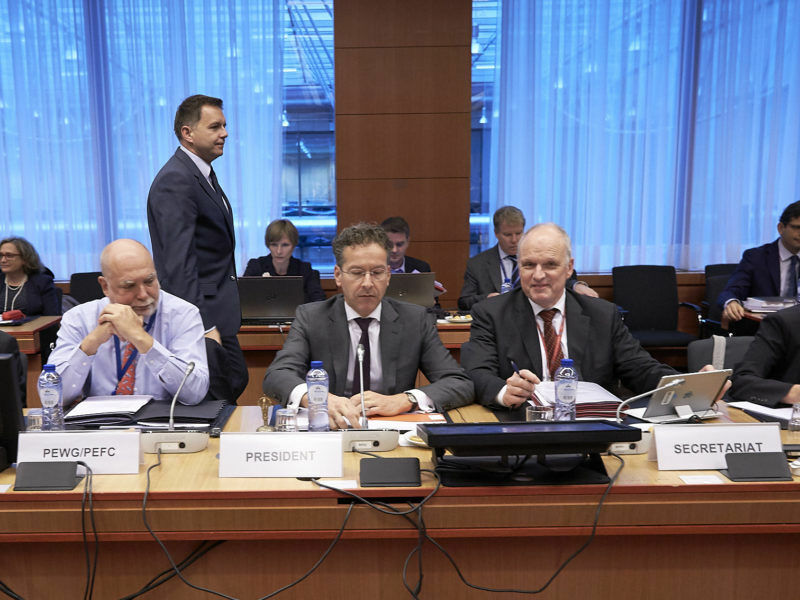 At the start of this week, the Eurogroup and ECOFIN met in Brussels. Interim Finance Minister Peter Altmaier attended the meetings on behalf of Germany for the first time. The talks focused on the banking union, fiscal policy and the Paradise Papers. EURACTIV Germany reports. On Monday, the eurozone finance ministers welcomed Peter Altmaier and new Dutch Finance Minister Wopke Hoekstra. With this, the Dutch language was unusually present. The former Dutch finance minister and outgoing chairman of the Eurogroup, Jeroen Dijsselbloem, was pleased to be able to speak Dutch with Peter Altmaier. “That is remarkable because it does not happen that often,” he told a press conference later. Altmaier was thus able to positively surprise the chairman right at the start. Thematically, it was initially about banking supervision, investment in education and Greece. The bottom line: banking supervision works well, but more needs to be done to reduce bad loans. Education investments have to be made more effective; therefore, the finance ministers want to continue to exchange views until spring 2018. Greece is making good progress in implementing the current reform programme but a number of promised measures have still to be implemented by the end of the year. In the second part of the meeting, finance ministers from non-euro countries joined the discussion on the banking union and fiscal policy. The discussion was meant as a preparation for the eurozone summit in mid-December, where the positions of non-eurozone members will also be taken into consideration when taking decisions. The discussion on the banking union centred on the relation between risk sharing and risk reduction. A stronger risk sharing would become possible if all would agree on a common backdrop, a common reinsurance for the resolution fund. This resolution fund is said to be supplied by the major banks and should take action when a bank goes bankrupt. But what happens if this fund is empty? In this case, one of the possibilities would be for the European Stability Mechanism (ESM), collectively funded by the member states, to take over. The risk would be shared among the states. European Union finance ministers wrangled yesterday (6 November) over differences in plans to reform the euro common currency in the wake of last year’s shock Brexit vote. But Germany only wants to accept such a solution if the existing risks are reduced beforehand. Amongst others, there are demands for measures, which would reduce the number of bad loans in the balance sheets of major banks in countries like Italy and Portugal. Dijsselbloem was pleased with the debate but no decisions would be made until a new government is formed in Germany. They want to come back to the subject at the start of December. First of all, the exchange on fiscal policy was about whether the rules in place were adequate and effective. The existing rules are for example the Maastricht criteria and the fiscal pact, which determine when and under what circumstances a member state can take on new debt. Germany, as usual, emphasised that compliance with the existing regulation is of particular importance. According to Dijsselbloem, the discussion further showed, that the regulations are in some parts too complicated: “With the regulations comes again the topic that they are too complex, partly unpredictable and not based on verifiable criteria.” He is, however, sceptical of an oversimplification, as it would do no justice to the complexity of the monetary union, where many different situations have to be taken into account. There is also disagreement over the French proposal to create an own fiscal capacity for the euro area. According to Dijsselbloem, many finance ministers voiced they would find such a budget useful to strengthen financial stability. 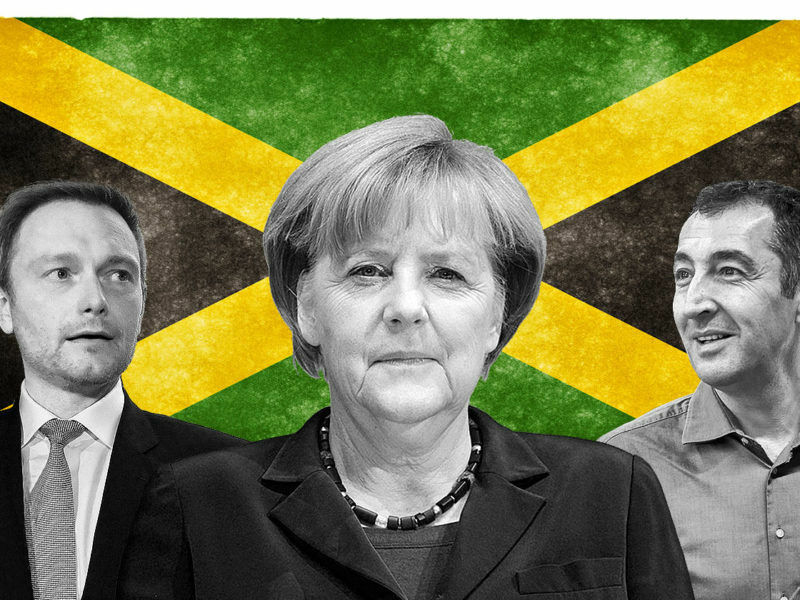 Germany remains sceptical. A German Federal Government report states that the Stability and Growth Pact offers enough flexibility to establish macroeconomic stability at the national level. Germany favours a strengthening of the ESM instead of a euro budget. On the one hand, because it would not require any complicated treaty changes. On the other, one would gain more influence, because in the ESM those who pay the most have the biggest say: therefore Germany. On Tuesday, a meeting of ECOFIN followed, with all economic and finance ministers of the EU member states. The breakfast was said to be relaxed. Here, the economic situation in Europe was discussed and an optimistic conclusion was drawn. The IMF has recently revised upwards its growth forecasts. 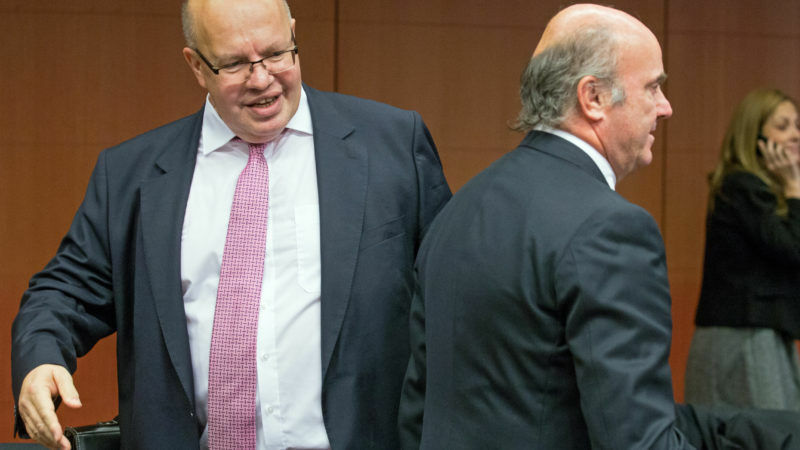 At ECOFIN itself, Altmaier was confronted in depth with the technical details of fiscal policy. A large number of detailed proposals on the taxation of cross-border trade in digital goods, on financial supervision, on insolvency law and on the work of the EU statistics agency Eurostat were discussed and evaluated. Altmaier sought to continue the line of outgoing German finance minister Wolfgang Schäuble. The aim is “to jointly secure the stability of the euro,” he said. But between insolvency law and Eurostat, the number one topic was not on the agenda: the Paradise Papers. Following recent revelations, the European Commission reiterated its proposal for a tax haven blacklist. This list should contain countries that are classified by the EU as tax havens. Then, for example, member states could raise special levies on financial transfers into these countries. Altmaier aligned himself with the Commission. With reference to the blacklist, he said in Brussels that Germany supports the proposal. Who will represent Germany at ECOFIN in the future? Altmaier’s first appearance in Brussels could also have been his last one. After all, he only holds the position of the finance minister provisionally, until the new federal government is in place. The FDP is very keen on the job.